Meanwhile, Negroponte took advantage of his visit to make public statements regarding El Salvador’s domestic politics. Notably, he congratulated President Saca on his work to combat organized crime, while expressing his concern about allegations of links between the FMLN opposition party (Farabundo Martí National Liberation Front) and the FARC, Colombia’s armed rebel group. After slandering the FMLN by stating that alleged ties to the FARC “are very troubling,” and declaring that “these are things that should not happen,” he condemned “any type of intervention” in El Salvador’s electoral process. Charles Glazer, U.S. Ambassador to El Salvador, subsequently reiterated Negroponte’s warning, stating that “any group that collaborates or expresses friendship with the FARC is not a friend of the United States,” an allusion clearly aimed at the FMLN. These blatant attempts to discredit the FMLN have been made in spite of recent promises by the State Department to work collaboratively with whatever government comes to power in El Salvador’s presidential election, to be held on March 15, 2009. As the result of recent legislation approved at the behest of business owners in the transportation industry, bus fares within El Salvador’s urban centers have increased by $0.10, while interdepartmental fares have risen by 40%. With the recent fare increases, transportation costs now make up an even larger portion of the monthly expenses of those working-class Salvadorans who earn the minimum wage of $157 to 174 per month, depending on the industry (according to data published by the Salvadoran Ministerio de Trabajo y Previsión Social). The financial hardship posed by the rising cost of transportation, as well as the government’s inability to resolve the situation, has been received with growing discontent by the Salvadoran population. This frustration was borne out last Monday, June 16, when a group allegedly comprised of University of El Salvador students set fire to two buses near the university’s campus. Several armed men wearing masks stopped the busses and proceeded to burn them in protest of the fare increase. The transportation sector is among the most heavily-subsidized in El Salvador, and fares are capped by the government in order to ensure affordable bus service. However, a series of laws raising the maximum fare have been enacted in recent years. The owners of the country’s principal bus companies, primarily supporters of El Salvador’s right-wing political parties (ARENA and PCN), argue that their businesses are facing financial losses and have refused to rule out the need for more fare increases in the near future. However, the social and economic conditions facing the majority of the Salvadoran population seem to contradict the values represented by the award, which is awarded annually by the Vatican-affiliated Path to Peace Foundation in New York. Saca’s supposed successes in the area of public security have not been reflected by homicide and crime rates, which on the contrary have left El Salvador as one of the region’s most dangerous countries. According to recent public opinion polls, high crime rates continue to be identified as among the most serious problems facing El Salvador. 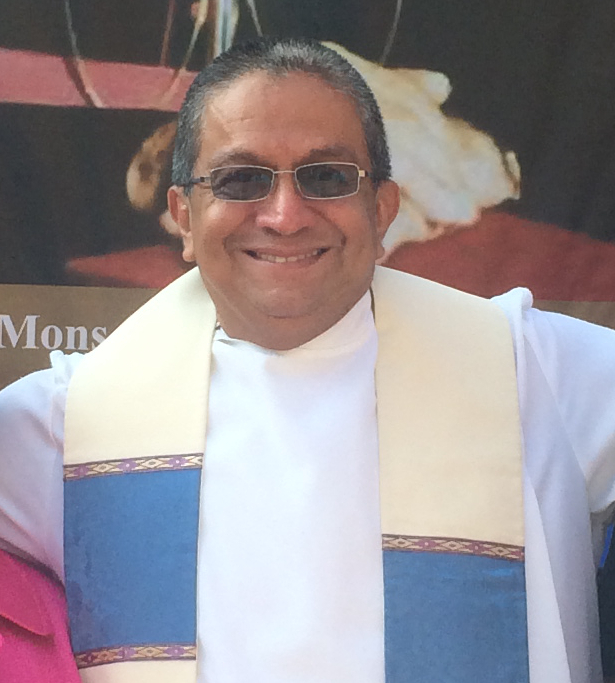 According to Miguel Guzman, a representative of the Ecclesiastical Base Communities of El Salvador (CEBES), Saca’s selection for this year’s Path to Peace Award is meant to influence El Salvador’s 2009 elections. Guzman states that ‘the Vatican and the Path to Peace Foundation have an interest in the continuation of the ARENA government’s policies.” The award serves “to raise [ARENA’s] tarnished image… they are worried about the next elections,” Guzman concluded. The Path to Peace Award was given to Saca at a time of diminished popularity for ARENA, while the opposition FMLN party has seen its political stature on the rise. A number of recent polls give the FMLN a clear advantage in next year’s elections. Faced with growing criticism of the Saca government’s inability to confront growing violence throughout El Salvador, the Director of the National Civilian Police (PNC), Francisco Rovira, held a press conference on June 6 to announce a plan to dramatically cut the homicide rate over the next two months. Rovira’s plan, which aims to reduce the daily homicide rate from nine to four by August 7, centers on arresting some 500 gang members. The effectiveness of this strategy was immediately called into question by the Salvadoran non-governmental organization Medicina Legal, which pointed out that the majority of murders in the country are not committed by gang members. The experience of recent years has proven increased incarceration to be an inefficient method of decreasing the homicide rate in El Salvador. As prison populations have soared, murders have not diminished. Official government statistics indicate that El Salvador’s penal system, built to accommodate a capacity of 8,100 inmates, currently houses 17,409 people. While increased incarceration rates have failed to lower the homicide rate, it has instead lead to increased violence within El Salvador’s jails. So far this year, 19 prisoners have been killed in a series of attacks at the jails in Cojutepeque, Chalatenengo, and Ciudad Barrios. Gilbert Cáceres, Director General of the prison system, recently admitted that “it is difficult to keep control over all of the inmates,” given the overpopulation of the prisons. Public Security Minister René Figueroa expressed his support for PNC Director Rovira’s plan. Figueroa affirmed that, with much effort, the government would succeed in decreasing the homicide rate in the coming months, despite having failed at this same goal for the past four years. However, Figueroa added that “there is no need to be morbid and marry ourselves to [reducing the homicide rate to] a specific number” per day.